The Scotter Cemetery on Scotton Road is a lawn-style, non-denominational cemetery. Requests for information on burial records can be made to the clerk of the parish council. The parish was in the Scotter sub-district of the Gainsborough Registration District. We have a list of surnames extracted from a small portion of the 1901 census for Scotter. You can also perform a more selective search for churches in the Scotter area or see them printed on a map. The Anglican parish church is dedicated to St. Peter. The church is built of stone. Some portions of the church date from the early Norman period. 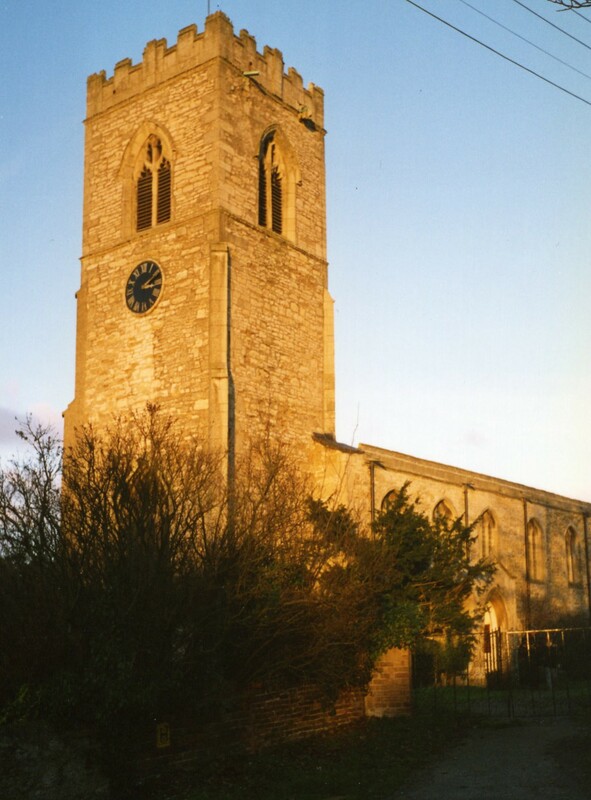 The church was extensively repaired in 1820. There is a photograph of St. Peter's Church on the Wendy Parkinson Church Photos web site. We have a handful of entries in our Parish Register Extract text file. Your additions are welcome. The Lincolnshire FHS publishes indexes of marriages and a burial index for the Manlake Deanery to make your search easier. Susworth had its own Weleyan Methodist chapel in the 1800's. Scotter had chapels for the Wesleyan, New Connexion and Primitive Methodists. The one for the Wesleyan Methodists is still in use. For information and assistance in researching Methodist chapels, see our non-conformist religions page. Scotter is a parish due south of the conurbation of Scunthorpe and which sits nine miles northeast of Gainsborough. The parish of Messingham lies to the north, Scotton parish to the south. The parish covers about 5,400 acres and includes the hamlets of Scotterthorpe, Susworth (on the Trent River), Cotehouses (now virtually gone) and Woodhouse. The picturesque village lies south of the the M180 motorway. The A159 trunk road cuts through the heart of the village. The small river Eau passes through the village and just north of Scotterthorpe. The hamlets of Susworth and Cotehouses (also given as "Gotchouses") are on the River Trent west-northwest of the village of Scotter. The village had its own web site at www.this-is-scotter.co.uk, but this site was not working when last checked. Modern day visitors to Scotter might enjoy a picnic in the wooded grounds in the southwestern part of the parish or fishing at Morton's Pond. But watch out for the hundreds of ducks that roam the village (residents of the River Eau). And visit our touring page for Lincolnshire. Ask for a calculation of the distance from Scotter to another place. You can see the administrative areas in which Scotter has been placed at times in the past. Select one to see a link to a map of that particular area. Diggings around the village indicate that the Anglo-Saxons lived here for some centuries. In 1190 King Richard I granted the right to hold a market and fairs here. In 1216 King John visited the parish. In recent centuries, a cattle fair was held at Scotter on July 10th of each year. The War Memorial, built of Portland stone, sits at the junction of two roads as they diverge to enclose the village green. 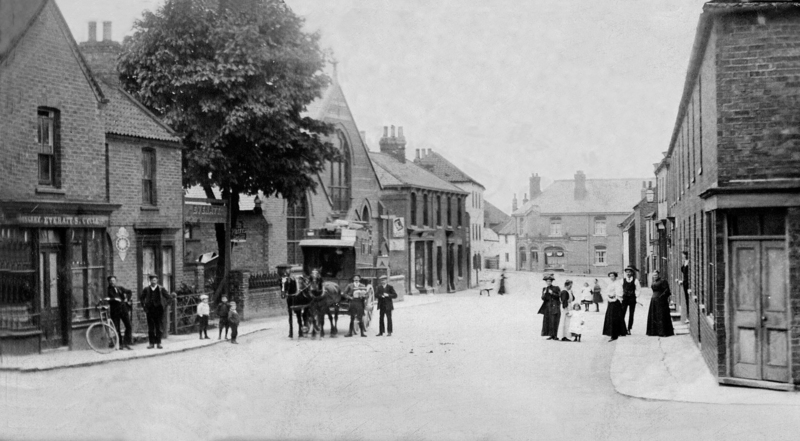 There is a good photograph of the War Memorial at the village website. For a list of the names on the War Memorial, see the Roll of Honour site. The meaning of the name Scotter is uncertain, possibly from the Old English Scot+treow, for "tree of the Scots". In the 1086 Domesday Book it appeared as Scotere. Scotterthorpe apparently has a different derivation, coming from Old Scandinavian Skalli+thorp, for "hamlet of a man called Skalli". In the 1086 Domesday Book it appeared as Scaltorp. Susworth appears to mean only "southern settlement". The parish boundaries were changed slightly in 1885 when a detached portion of Scotton parish was transfered to Scotter. On 1 April, 1936, this parish gained 4 acres from East Ferry Civil Parish. You can contact the Scotter Parish Council regarding civic or political issues, but they are NOT staffed to assist you with family history searches. Bastardy cases would be held in the Gainsborough petty session hearings every Tuesday. The Common Lands were enclosed here in 1812. A National School was built here in 1834 and by the 1870's was schooling about 100 children. An Infants school was added in 1877. This school closed in July, 1932. Scotter Primary School, which opened in Aug, 1932, now resides on High Street. The Minute Books for Scotter Primary School are deposited for 1932-55 and 1955-69 at the Lincoln Archives. No admission registers were deposited. A Public Elementary School was built is Susworth hamlet in 1904 to hold upto 52 students.